Basically, a brand is different from a product. Brands are normally associated with fast-moving customer goods. But then, brands also exist in services and industrial markets: Philippine Airlines (PAL), British Airways, Japan Airlines and Northwest; IBM, Sony, Panasonic and KODAK. 1. Company brands: In the case of many brands, the company name is the brand, examples: IBM, Sony, JVC, etc. 2. House brands: Sometimes the company breaks down its products into groups each of which has a brand name; Honda has Jazz, City, Civic and Accord, etc. 3. Umbrella or pillar brands: In a similar concept, products are grouped under a series of umbrella (or around pillars); Bird's Eye Steakhouse, Captain's Table and Menu Master, or Henkel's grouping of adhesives under the Print and Pattex names. 4. Individual brands: Often the company names all its brands separately, as do Mars and Procter and Gamble; the manufacturer's name may be given more or less importance, or not at all. 5. Distributor's brands: Retailers, wholesalers and, in industrial markets, some manufacturers often sell brands made for them by someone else. 2. Non-functional: Variously described by different authors as social, psychological, symbolic, value-expressive, or personality. From the point of view of the buyer, the brand offers intagible benefits beyond its basic function, If we are what we eat, we are also what we buy; the brands we buy and use reflect the way we see ourselves. It is this aspect of brands which is frequently used in product differentiation and product positioning, especially when the basic products are very similar. This can be seen in some cosmetics and toiletries, but it is also apparent in alcoholic drinks and in some segments of apparently functional markets such as watches or cars. What is important for the marketer is to identify and understand the values associated with the brand and desired by customers. 2. Shorthand summary: The brand identity should act as a summary of all the information held about it. Memory seems to act by storing packets of information in networks, and the brand should provide access to this network, triggering information and associations. 3. Security: Buying a familiar brand should be reassuring, as it should guarantee to provide the benefits which are expected. 4. Added value: A brand must offer more than the generic product. Although the security mentioned above is in itself of values, a brand should normally offer additional benefits; it shoudl be better quality, or better value for money, or have features and benefits not provided by the generic product. Although the benefits may be either functional or non-functional, they must be of value to consumers; preferably they should be unique to the brand. 1. Brands with a market share of 40 percent generate three times the return on investment of those with a share of only 10 percent. 2. For grocery brands, the number one brand generates over six times the return on sales of the number two brand, while the number three and four brands are unprofitable. 3. For consumer goods, the number one brand earned a 20 percent return; the number two earned around 5 percent and the rest lost money. 4. Small brands can be profitable: a strong brand in a niche market earns a higher return than a strong brand in a big market. In large markets, competitive threats and retailer pressure can hold back profits even for the top brand. 5. 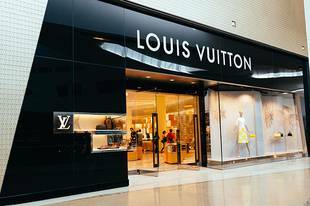 Premium brands can earn 20 percent more than discount brands. 6. It can cost six times as much to win customers as to retain current users. 7. The best feasible strategy to achieve profitability and growth is to focus on brand differentiation rather than cost and price. Although the best strategy in theory is both low cost and high differentiation, in practice it is worth paying some cost penalty to achieve strong differentiation. The critical success in building and maintaining a brand are quality, differentiation, consistency, evolution, and support. 1. Quality is fundamental. Two familiar points must be reiterated; quality must be defined from the consumer's point of view, and it is the quality of the total offerign that is important. The quality is defined by what the target segment wants, so McDonalds' is outstanding at delivering quality to its consumers, even though middle-class critics may sneer at its products. What IBM has delivered over the years when it has led the world computer market is the quality of its hardware, software and service support; the fact that it has not necessarily been at the leading edge of technology has been less important. 2. Differentiation is self-explanatory but difficult to achieve. Whether expressed in the old phrase "a Unique Selling Proposition," (USP), or in the more modern terminology of "Sustainable Competitive Advantage", the brand must have something which differentiates it from its competitors. Moreover, that something must be salient to the target consumers - it must motivate them to buy; even if the difference is small, it must be relevant. It may be intangible, as in the quality of service or the psychological benefits delivered, but it must be perceptible. It can be pre-emptive, in the sense that other products may also have the characteristic, but the first one to claim it keeps it. It should, ideally, be difficult to copy. 3. Consistency is a hallmark of great brands. Chopping and changing from year to year (or from brand manager to brand manager) may be exciting, but it risks confusing and alienating consumers. The value of a successful brans is so great that a sensible company makes changes only after the most thorough consideration. This does not mean that no change is desirable, however-quite the contrary. 4. Evolution is essential, since the environment and the market are always changing. Fairy Liquid remained the leading washing - up liquid for many years, on a platform of softness and kindness to the hands. Without abandoning that claim, it them moved on to a longer-lasting, value - for - money position; it has now been relaunced on a grease-dissolving differentiation. All relate to overall product quality. Tide has been famous for the consistency of its branding, although the actual campaigns have changed substantially over the years in response to changing social and market influences. 5. Support may mean different things in different contexts, but always involves substantial investment. For fast-moving consumer goods, it usually means heavy expenditure on above-the-line advertising; not even the strongest brand can rely on its past reputation for long. For industrial brands, it may involve serious commitment to after-sales service, or high R&D costs. For service companies, the need may be for very large expenditure on staff training. An unfortunate effect of identifying some brands as cash cows is that the management tries to siphon off funds from successful brands to invest elsewhere, without realizing that a brands to invest elsewhere, without realizing that a leading brand will not stay in that position without containing substantial support. Any signs of this tendering must be resisted, though scare resources often make the dilemma acute.